What is Text 2 Buy? Text 2 Buy automatically transforms an SMS keyword (Customer request to purchase) into an immediate return personalised voice call that connects the customer to our automated payment gateway service and allows the customer to complete a financial transaction to purchase goods or services 24 x7. Text 2 Buy has the capability to provide our clients with new levels of insight into their customers and the return on their advertising expenditure and sales processes. 1. You advertise with a ‘buy it now’ call to action in your campaign, giving customers a keyword to SMS, a QR code to scan or a web link to use. 2. Wanting to buy your product, the customer scans the QR code, sends a text message or enters a URL on their phone. 3. In seconds, your customer is called back and played a personalised message while they’re connected to the automated payment gateway. 4. Your customer is prompted through the purchase process and provided with a transaction receipt number, while the payment is deposited in your account. 5. A SMS is sent to the customer number and website details that allow the customer to print out a tax invoice. 6. You’re emailed with the details of the financial transaction in real time. 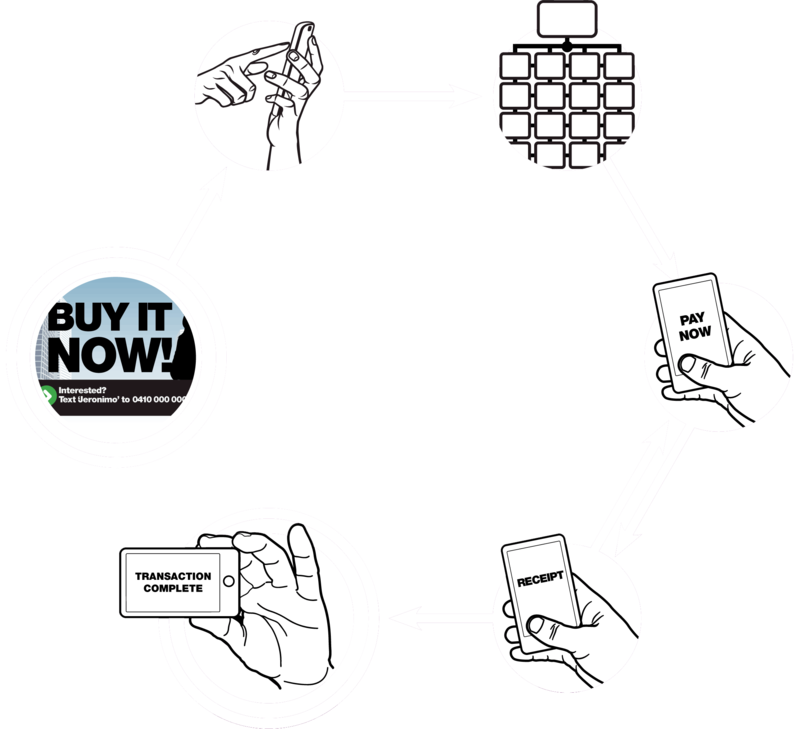 Text 2 Buy allows you to leverage a behaviour that millions of consumers carry out every day – using their smart phone. Customers can SMS a keyword, scan a QR code or follow a link to receive an immediate personalised voice call that connects the customer to our automated payment gateway service. This enables the customer to complete a financial transaction to purchase goods or services. of the way with our reporting that provides new levels of insight into customers.